This article covers a variety of online promotion methods, such as Search Engine Optimisation. It will help answer the all too familiar question; what does my business website need in order to reach a large number of potential customers via web-searches? By definition Search Engine Optimisation or SEO is simply a name given to any activity used in an attempt to develop improved search engine standings. What is SEO? What Role Does Google Play? SEO is the best way to optimise a website; allowing it to appear in as high a position as possible when searched for by a search engine such as Google. In general, the better the SEO is done on your website – the better your rank, thus directing more relevant traffic and potential customers to your website. This, in effect, increases the website visitors and should translate, at the end of the day, as increased custom for your business. In most cases, the value of search engine optimisation for a business is obvious; it might well alter your search engine results from literally nowhere, Google’s 20th page for example, to the first page. The first page is certainly where you need to be to utilise your website to its full potential. Can I Optimise the Website By Myself? Yes, you can. You can certainly take steps to optimise the site yourself, but only if you understand of what you aredoing and the way your actions affect the Search Engine Algorithm, which itself is constantly changing. You website changes need to improve your website visibility as far as search functions are concerned. A Plug-in is a program which extends the functionality of your website. Accordingly, an SEO plugin adds functionality to a site, allowing you to optimise pages and content (texts, pictures, videos etc.) to best suit the requirements of search engines. If your site is running on the WordPress platform – and such are in the majority these days – installing an SEO plug-in, such as Yoast SEO, does not take much time at all. Click on Activate plug-in after installation. By installing the plugin, WordPress SEO by Yoast, you will be able to fill in the content with keywords, (read more about this below), add descriptions to the texts, edit links and much more, as prompted. This plugin is ideal for optimizing content. However, although this plugin is easy to install, it is not quite so easy to configure. In most cases, you will gain an improvement by the utilisation of the standard functions, but if you feel you still require something more, I recommend that you contact a SEO specialist. Keywords are markers, and importantly, it is their use which allows Google, and other search engines, to understand and reference what the content of your website, and its pages, is actually about. As an example, imagine you ran a small company for the distribution of coffee machines. How would Google understand what you are doing? 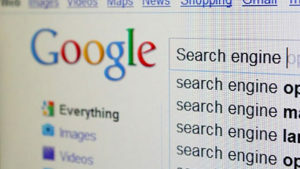 The Google search engine would scan your site, go through each page, analyse all the content and find keywords. Such words, from the site content would likely be; coffee, coffee machine, buy a coffee machine, coffee machine sales, coffee machines for coffee shops, coffee machine brands, etc. Then google will, via a set of complex algorithms, store the keyword information. When a user searches for a ‘coffee machine’, your website will appear in the results list. 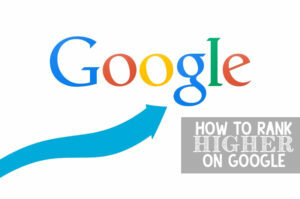 Use the tips feature in Google. Just start typing the word “coffee machine” and see what the search engine predicts you will type. Related words may well be useful to you as alternative keywords. After doing a little research, you should understand more about what pages to create, what to focus on and the best blog topics for you to start with. In addition, a comprehensive list of keywords will be selected during this process. A link is the address of a website or a specific website page on the Internet. The question you now need to ask is why are these links so important to search engines like Google? For example, if you use Facebook, you may understand how accumulating likes and shares actually cause a post to rate higher and remain longer. In essence quality links act just as the likes and shares do on Facebook, only for search engines; accordingly, the more links which lead to your site, the brighter the signal for Google. The importance of Quality Links Links to your own website from other sites is a must. Without doubt you need to find ways to encourage users to link to your website. Create a blog and publish high-quality and interesting content that you want to share. Such content forms a positive image of the company as the leader of opinions in the niche your site occupies and attracts both business and social links. Register the site in relevant directories. Directories like Yellow Pages and a variety of small local business catalogues are quite useful in that they create, in effect, an additional trading and marketing platform for your business. By making use of them you are guarantying the generation of at least one quality link, for each of them, to the main index page of your site. Publish content as a guest on as many relevant, popular resources as you can. One article on Forbes or in the Morning Herald could well be more useful than a dozen in a small company blog. Performing such actions will enable you to learn which popular resources work well with your niche and allow you to become a regular contributor. Doing so will not only raise your business in comparison to your competition, but give you increased web traffic, add useful links, and almost definitely increase your customer base. The Google search engine promotes links’ articles which it regards as convincing to the top range in its rankings, hence it is imperative that you create articles and pages which will be viewed as authoritative. All you require is to write content which people find knowledgeable and useful. Another plus is that useful content may be shared in blogs or twitter feeds etc. Google will pick up signals of genuine reliability and thus this process will help you to establish sturdy and sustainable Google ratings. Note that it is important you remember that links should not be purchased. Google bots, when scanning your site, will mark such links as spam, and your site will likely suffer as a consequence. Google does not like spam in any form, be it text, comments or links. The bottom line to this brief article is simple; if your business has a website, it must be promoted so that search engines (at least in Google) rate it highly as possible. With successful Search Engine Optimisation your site will flourish and drive business to your door. Without SEO, the site may well be a wasted effort and unlikely to attract customers.